Twilight Sparkle Earns Her Wings And Becomes A Princess! All hail the… Princess! My Little Pony: Friendship Is Magic - Princess Twilight Sparkle is coming to DVD April 30th from Shout! Factory Kids in collaboration with Hasbro Studios. 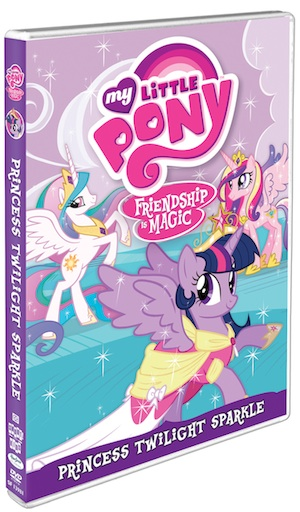 Princess Twilight Sparkle includes 5 episodes from My Little Pony: Friendship Is Magic, focusing on Twilight’s adventures and the grand coronation event from Season 3 as well as a Sing-Along and Coloring Sheet, and is priced at $14.97 SRP. Now, after completing an important challenge, Twilight has earned her princess wings and has all new adventures and responsibilities as a princess! The 5 episodes on My Little Pony: Friendship Is Magic - Princess Twilight Sparkle include Princess Twilight Sparkle’s royal coronation. For everyone who loves ponies and princesses, My Little Pony: Friendship Is Magic - Princess Twilight Sparkle is a tale not to be missed! Hasbro Studios is the Los Angeles-based production division of Hasbro, Inc. (NASDAQ: HAS). The studio develops and produces shows based on Hasbro’s world class brands, including TRANSFORMERS, MY LITTLE PONY, LITTLEST PET SHOP and SCRABBLE. Many of these shows air on The Hub, a television network for kids and their families. Studio programming can also be seen in more than 170 countries globally. The Hub is a joint venture between Hasbro and Discovery Communications (NASDAQ: DISCA, DISCB, DISCK). My little niece loves watching My Little Pony. I love the theme song. I love this show! It has quite an adult following! 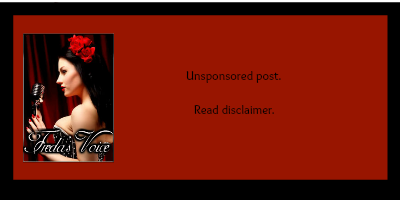 I just reviewed the graphic novel (arc) on my blog!